Lip Salves (or balms) are formulated from a similar base, but instead of pigments they contain additional moisturisers, sunscreen agents or “active” ingredients such as camphor. 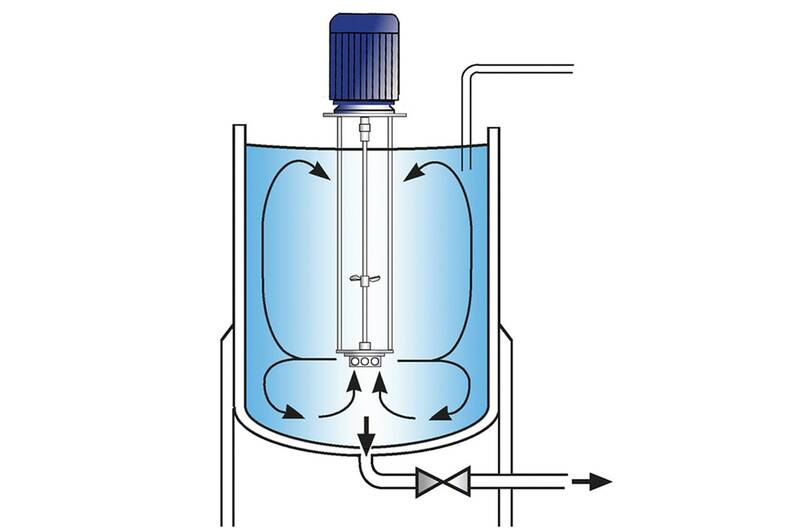 The oil is heated in the process vessel to 80 - 85ºC (175 - 185ºF). The waxes are melted separately in a hemispherical jacketed vessel (often called a “kettle”) typically fitted with an anchor stirrer/scraper. Part of the oil may be added to the kettle to aid the process. The wax phase is added to the oil phase. Various types of mixers/dispersers are used to combine the two phases. A “pigment grind” is prepared by dispersing the powdered pigment into part of the oil using a triple roll mill, bead mill or similar conventional mill. Increasingly premicronised pigments are used. These do not require grinding as such but some degree of shear may be required to break down any agglomerated particles. Ready-to-use liquid pigment dispersions are also widely used despite the increased cost. These can be added directly to the oils and waxes without pre-processing. The pigment grind is added to the oil/wax phase and mixed until a homogeneous product has been achieved. This may require passing through a colloid mill or similar. The mixture is cooled slightly before fragrances, preservatives and other ingredients are added. The finished product is held at a lower temperature before being poured into moulds and cooled to solidify. The sticks may be “flamed” to produce a glossy finish to the surface. Long process times are required to melt the waxes; solid pieces may require breaking up before they can be added to the kettle. Pigment grinds and pre-dispersions are difficult to disperse into the oil/wax medium due to the widely differing viscosity. The end product may require passing through a mill to obtain the required consistency and homogeneity. The oils and waxes are weighed into the kettle and heated. 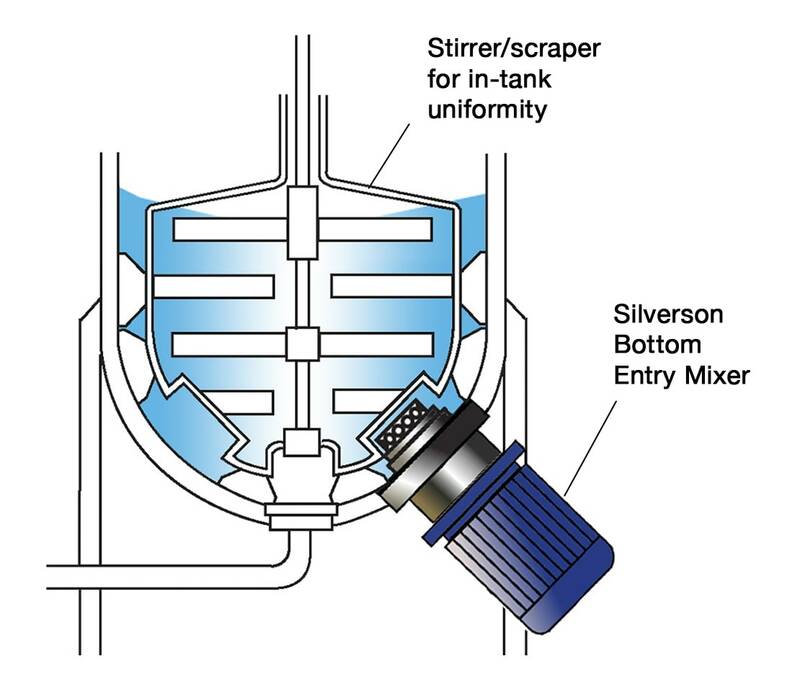 The mixer is started when the product is partially liquified. The high speed rotation of the rotor creates a powerful suction, drawing the wax particles and other ingredients into the workhead. Centrifugal force drives the liquid and solid ingredients to the periphery of the workhead where the materials are subjected to intense shear in the gap between the tips of the rotor blades and the inner wall of the stator. The product is then forced out through the stator back into the body of the mix. The intake and expulsion of materials through the workhead ensures that the contents of the vessel passes many times through the workhead. The combination of heat, vigorous mixing and particle size reduction accelerates the melting/liquifying of the wax, and rapidly disperses the pigment grind into the oil/wax medium to produce a homogeneous end product. Improved consistency and product texture. Some stages of production can be eliminated. The reduced particle size and more uniform premix produced can dramatically reduce the time taken at the milling stage.